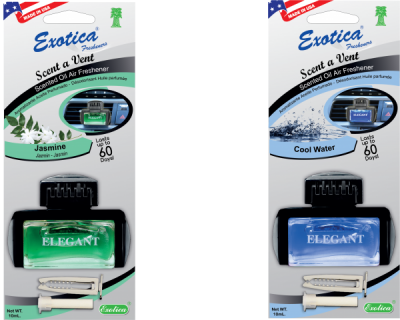 The infamous PALM TREE was first launched by EXOTICA FRESHENERS CO. This was an innovative and tropical design with a breeze of freshness and relaxation. Professional chemists at Exotica use only top quality raw materials and essential oils that make our products effective and long lasting. Developing and creating the latest trends in fragrance technology, Exotica is focused on reaching to every market’s taste. 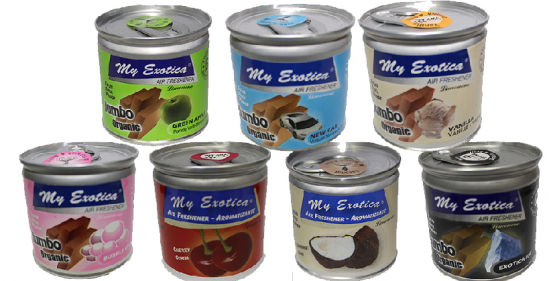 Available in over 100 countries, Exotica remains a premium brand name around the world! • Long lasting high quality scented oils. • Home and vehicle use. • Home and car use. • Scented oil air freshener. • Adjustable top to control amount of fragrance.